The 2019 Hyundai Elantra will launch in the US in the last-quarter of the calender year. 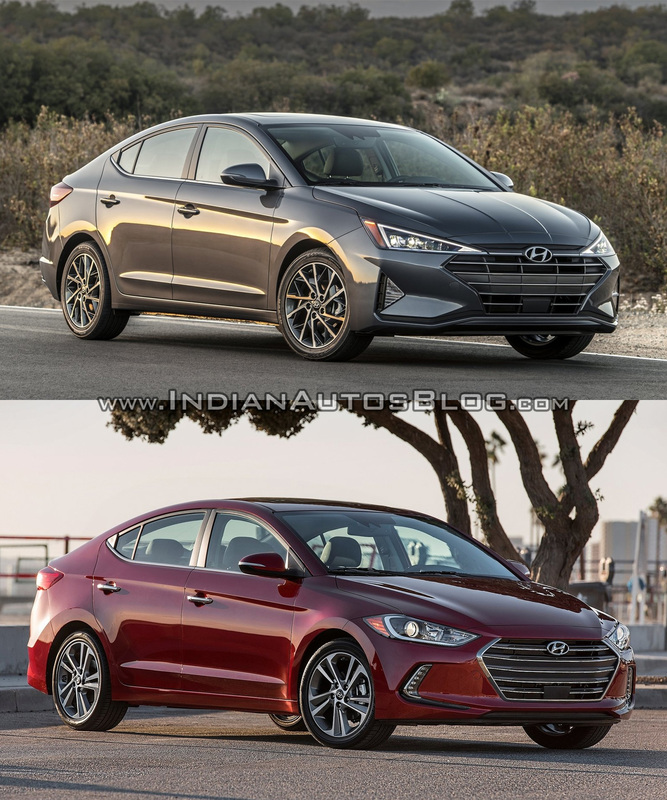 The several styling updates that the Elantra carries makes it look significantly different from the earlier version. The front-end gets a new bumper along with an updated grille. The intake is still hexagonal in shape but is more angular. The new bumper carries large foglamp housings and makes the nose look a lot bolder. The new bonnet features some additional creases. Higher variants will feature LED headlights but lower trims will offer projector setups. The updated Elantra receives new alloy wheels, which look a tad sportier than before. At the rear, the license plate housing has moved to the bumper. The posterior also receives L-shaped tail lights that make it look radically different. The 2019 Elantra gets Hyundai's all-new AVN 5.0 infotainment system. The centre console is new and features new air vents and controls for the automatic air conditioner. The updated storage tray features a wireless charging pod for the Limited models. The 2019 Elantra also gets Hyundai's all-new AVN 5.0 infotainment system. This system features an 8-inch touchscreen instead of the 7-inch display. It offers Infinity Premium Audio system with 8 speakers, Apple CarPlay, and Android Auto. The 2019 Hyundai Elantra gets a gamut of safety features. The Limited models get forward automatic braking, lane keep assist, blind spot warnings, driver attention monitor and adaptive cruise control. 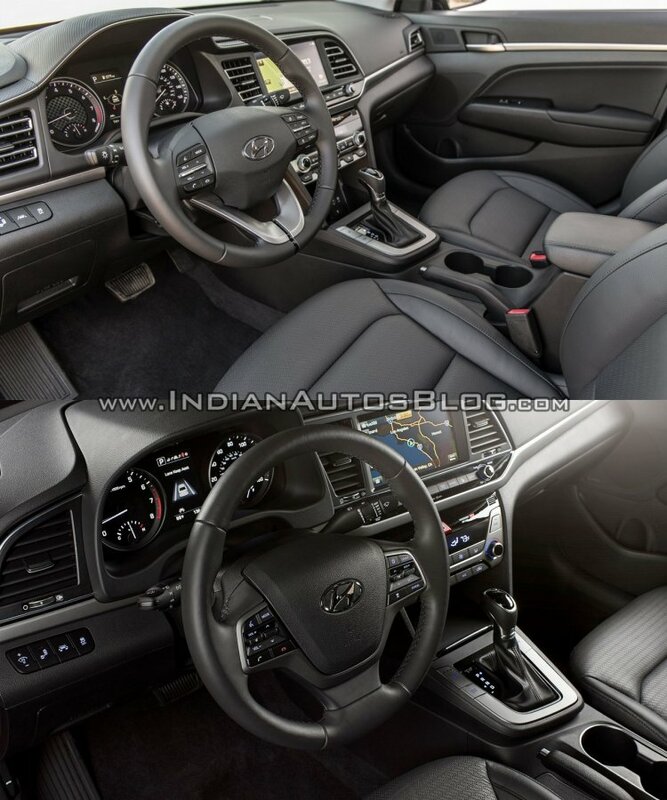 The engine options for the 2019 Hyundai Elantra (facelift) have been carried over from the earlier model. The SE, SEL, Value Edition, and Limited trims get a 2.0-litre, four-cylinder petrol engine that outputs 147 hp. The SE model gets a six-speed manual transmission as standard and a six-speed automatic unit as optional. All other trims are available with a 6-speed automatic transmission only. The Eco model is available only with a 1.4-litre, turbocharged petrol engine that produces 128 bhp. This engine comes mated to a seven-speed dual-clutch automatic transmission.